Furniture To Be Thankful For | Bringing together stories, rooms, life. Every Thanksgiving, I give thanks to my family, friends, good health, the roof over my head, and the giant amount of food on my Thanksgiving table (gotta love the stuffing)! But seldom do we appreciate the everyday things that gives us comfort in our own homes. So, this Thanksgiving, I’m standing on my ottoman and declaring deep appreciation for all the hard-working, smartly-designed furniture that give comfort every day of the year. I truly believe that sectionals are one of the most underrated furniture there is. 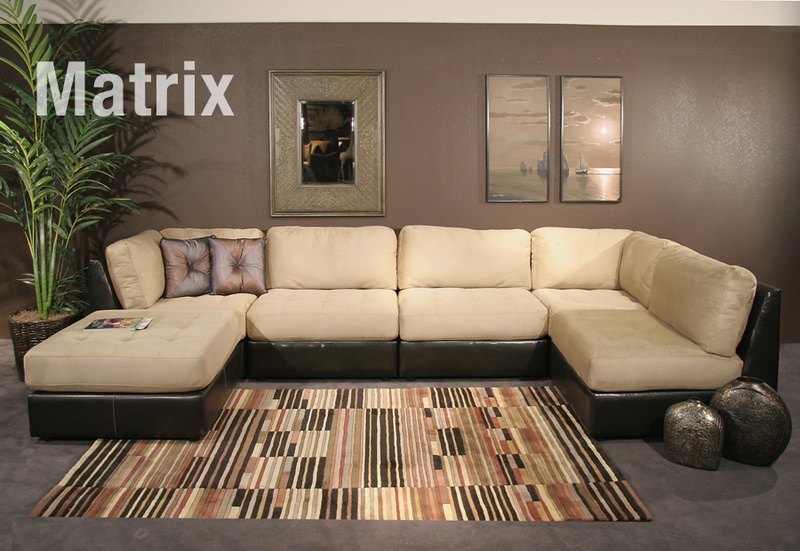 Some people think sectionals are too large for their room or that the corner seat of a sectional is wasted space. This is absolutely untrue. Sectionals are so versatile. They come in different shapes (large or small) so it’s easy to find one that can fit even the smallest of rooms. A well-designed modular sectional can be configured in so many random ways. It’s always fun to see how many ways you can configure all the seating you have. And let me tell you that the corner seat is everybody’s favorite place to sit. It’s the perfect place to kick up your feet for watching TV or even taking an afternoon nap. Modular sectionals can easily be configured to fit your needs. If you never sat in a massage chair, you are doing yourself an injustice. 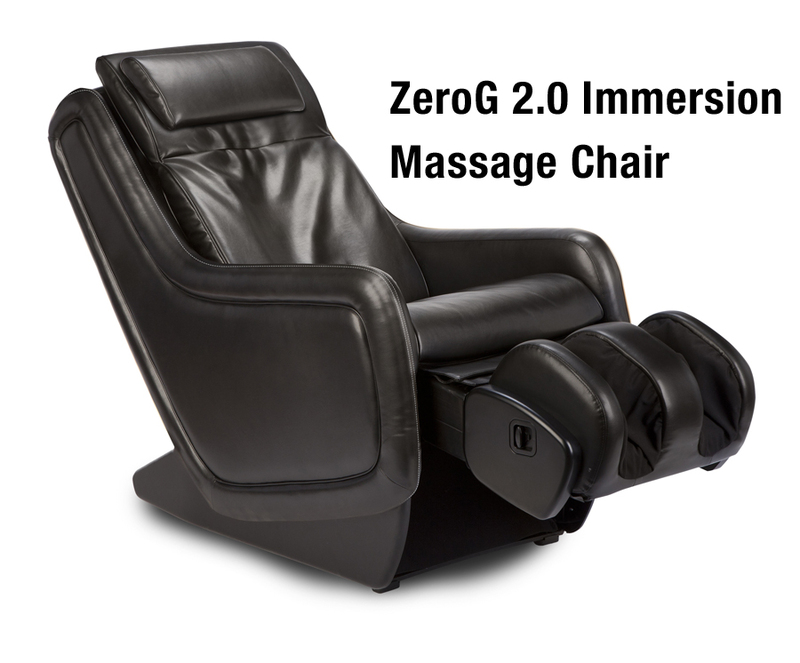 For backaches, muscle pain, or just everyday stress, there’s nothing like coming home to your own personalized massage chair. With a push of a button, get totally relaxed with massage techniques used in sports medicine for deep muscle therapy. Relieves joint pain and spinal pressure while improving circulation and invigorating your entire back. Plus, you don’t have to beg your spouse for a massage every day. I’m not incredibly old, but I can remember when sofabeds were bulky and difficult to open. You either needed two people to muscle it open or a really strong man. So when I saw this easy-to-open Tribano leather sofabed, I was amazed! I made this video of my co-worker, Susan (who is very petite) opening it with ease. And if she can do it, anyone can. Hurray for built-in storage! Storage drawers in the base of the bed make great use of that unused space under the bed. Keeps your extra blankets, pillows, or clothing dust-free and organized. You can never have enough storage in any room. 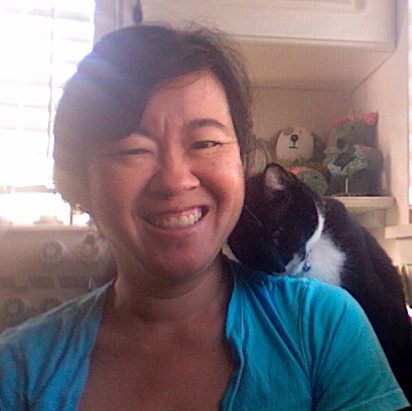 My house is now a house of two (unless you include the dog and cat!) But during the holidays, we open our doors to family and friends. So a dining table that can accommodate more seating is a must. Thank goodness for dining table with extension leaves that easily extend to seat my guests comfortably. 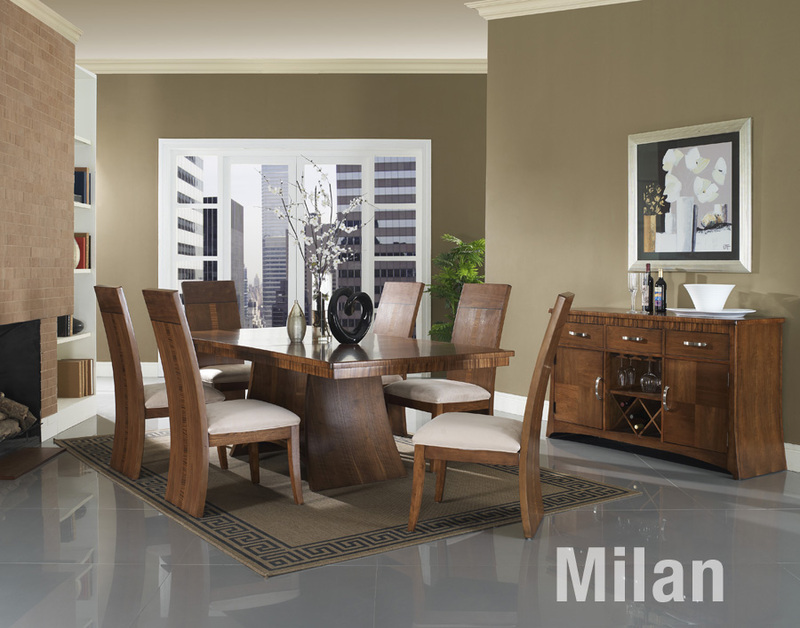 Milan Dining Table extends to accommodate more guests. I could go on and on about the furniture I love. I didn’t even mention my storage ottoman and my daughter’s much loved bookcase. Do you have furniture that you are thankful for? If so, let us know. This entry was posted on November 20, 2012 by C. S. Wo & Sons, Ltd. in Furniture and tagged appreciation, comfort, dining, functionality, furniture, grateful, Hawaii, holidays, home, home office, HomeWorld, Human Touch, Matrix, Milan, modular, sectional, Sedona, smart designs, sofabed, storage, thankful, Tribano, zero-gravity massage chair.